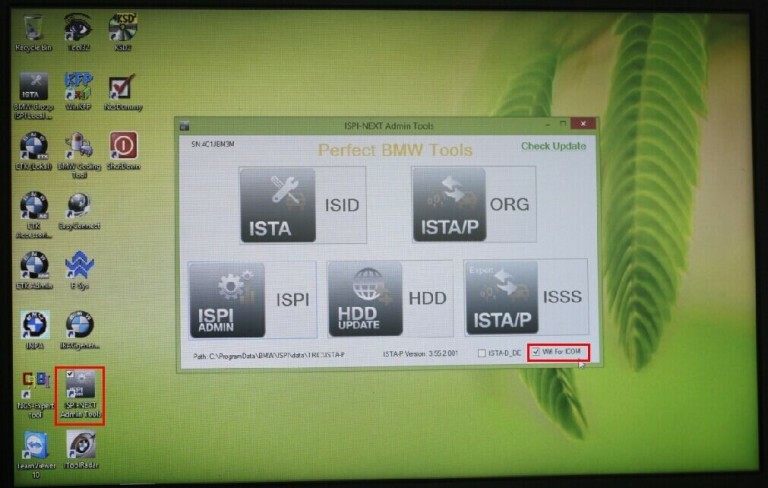 There are different systems for vehicle diagnosis (ISTA) and programming (ISTA/P) used. This means it was necessary to change systems several times when repairing a vehicle using software. ISTA+ has been expanded so that all the required programming functions for the series F, G and I are integrated. E-series vehicles still have to be programmed using BMW ICOM ISTA/P! So, what for E series coding/programming? -> much faster in BMW F and G series ..
-> supports gigabit Ethernet too to be future proof, there currently is not gigabit Ethernet protocol defined yet for autos. Also it has USB3.0 instead of USB2.0 and a better wifi card. So, Icom next a works much better. In sum, Icom next wins! Both of these have the same hardware. None of them are clones of anything also. A3 is fully china version of ICOM, there is no original version looking like this crap. NEXT is just looking as genuine NEXT, but with old A1/A2 hardware inside, like A3. I recommend buying an Icom next. It is priced roughly at 500 euro. Take in consideration that you will probably work on cars that are worth 30-40k euro or maybe more and if your chinese icom fails you even once, you will be spending a lot of money on a bricked ecu. Modified ICOM A2 for vehicles with OBD access receives a significantly more powerful processor and more storage capacity. And robust aluminium case will help to avoid damage when using in harsh environments. It works better in cooling, runs faster and works more stable, not easier broken than older ICOM A.
ICOM A3 can program all units for all BMW series expect media system, and work more stable and has stronger compatibility than ICOM A2, A1. In short, ICOM NEXT A+B+C works perfect; it’s the best option. Post includes 1. software Overview and Requirements 2. latest Software Links & Installation Instructions. NOTE1: Links are in BLUE and pictures are links to larger images. 1.Software Overview and Requirements:1). This guide serves Fxx, Ixx, and Gxx-series vehicle. 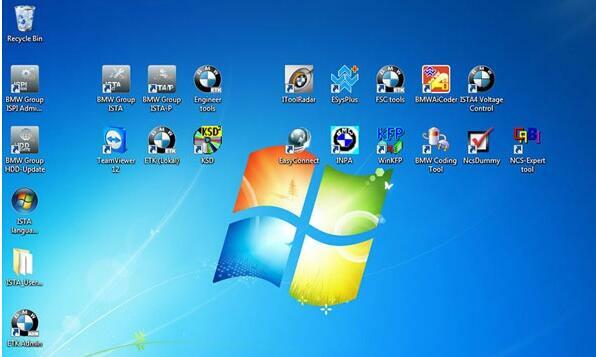 and cable are used Complete Software & Interface Overview. PROGRAMMING traditionally for all chassis, but is being phased out by August 2017, except for legacy E-series. ICOM Recommended. An ICOM emulator with K+DCAN or ENET can be used, but will NOTcommunicate over all protocols to program every ECU. 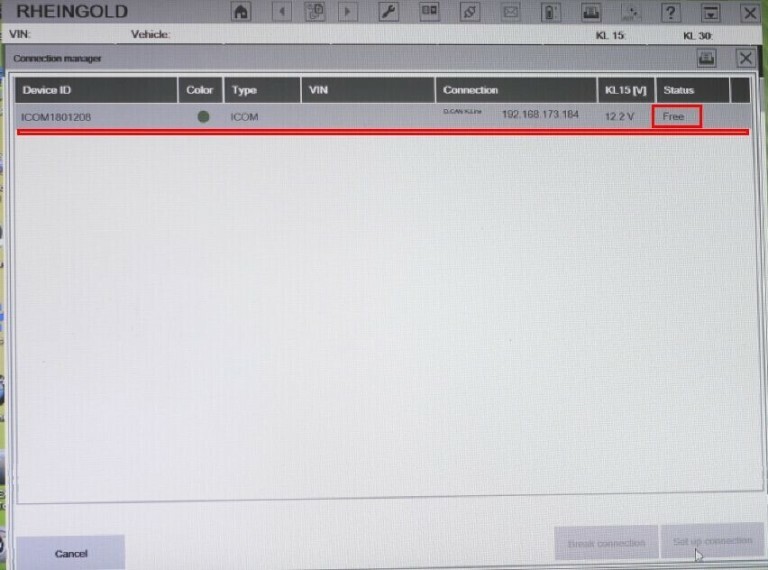 ISTA+: 22 GB Installation + >2 GB free space to run (Diagnostics Only). 1.Windows 7-10 Computerwith .NET Framework 4.5.2 (or greater) due to new features added. ALL VM Setups: Network Adapter configuration should be set to Bridged Network mode. * PSdZData Lite(~2.5 GB) = ECU Data Files. Works for VO & FDL Coding. 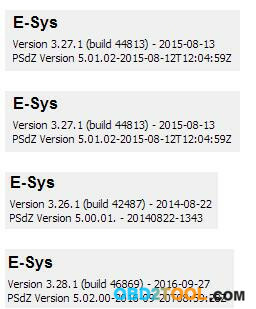 PSdZData_Full (> 80 GB): Contains additional ECU Firmware files ONLYneeded for flash programming (ie updating) ECU’s. Request here. 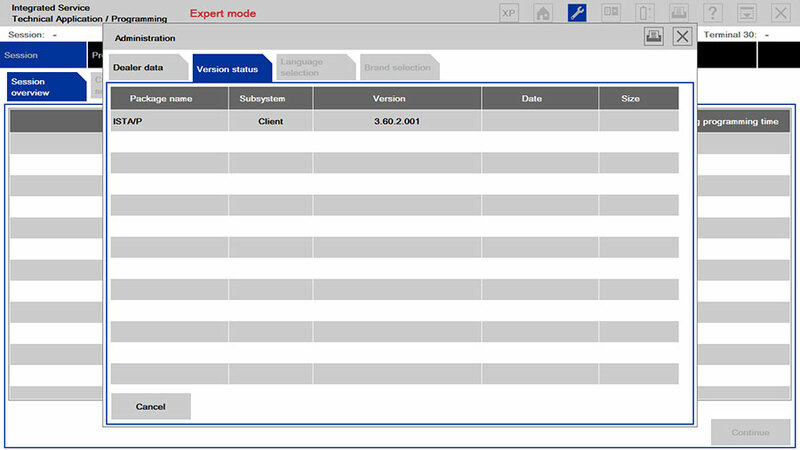 * E-Sys Launcher= Provides License (ie Activation), FDL-Coding mapping, Cheat Codes (Section 7), & other optimization. * Use this guideto determine your I-Step. * You only need onelite version for coding that is equal to or greater than your I-Step. NOTE: If you get “Not Found [C012]” error when “Read Coding Data,” it is time to update. * Do NOT merge. DELETE old PSdZData folder & REPLACE w/ new PSdZData folder. * One other useful tool. You can read more about it here. NCD Compare: Load *.ncd files using Folder icons or drag & drop and then far right button initiates compare. Popup showing Left vs right values which you can highlight and copy if you choose. It also highlights *.ncd trees differences in red & you can scroll up and down. Decrypt CAFD: not just for CAFD’s. It also works for other Psdzdata files (eg FAFP). FA / FP: viewer; tool includes mapping (eg 430 Inter Exter mirror anti dazzle). You can search loaded FA or entire FAFP (ie available options). 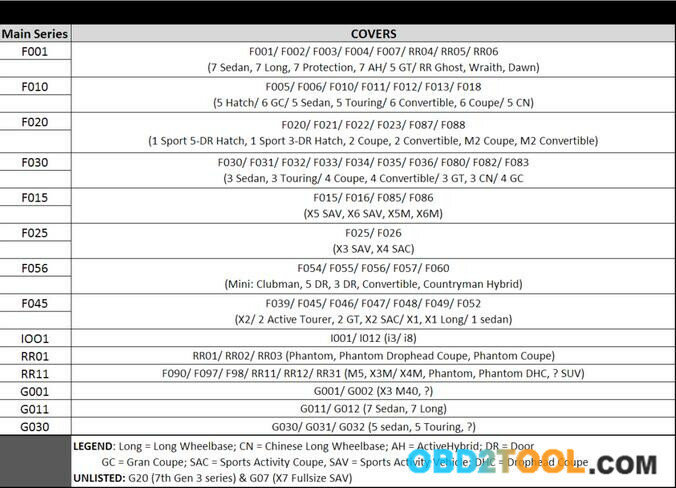 FP viewer allows you to view options by Vehicle Profile (FP) without loading FA (Vehicle Order). FA Compare: like #2, but comparing FA’s. FA-CAFD: You load individual ECU’s *.ncd and can see how FA additions will affect (ie “what-if). SVT-CAFD: You load entire saved SVT file and see how FA changes will affect (ie “what-if). 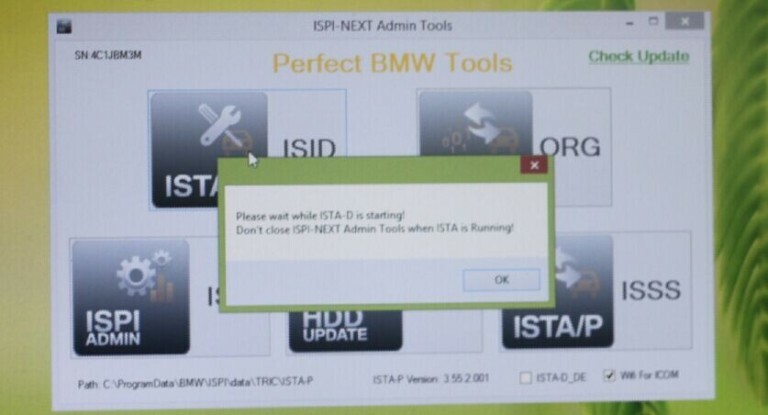 Free download BMW ICOM ISTA-D 4.07.13 Standalone with ISTA data, for BMW diagnostics, coding, programming. Without SQLiteDBs, FASTA & HW check disabled. Tested & Safe to use! Works great!! Standalone version would be great! There is 2 firmware for ICOM A1-A3, for ICOM NEXT not. Q: I tried it out, and it works fine. But after deleting some error codes, it froze, but after I restarted the program, the codes were erased, is there any specific reason why that happened? A: If you are using a INPA k+Dcan interface, you might need a Voltage Control tool in order to properly close the operation. If not, you might have some issues with your local installation and/or software environment and/or prerequisites needed for ISTA D.
Q: my question was: is fw-03-15-02 an officially update for icom? Or is here something modded, like “03-15-00-unprotected” or so? Because there is only one file different to 03-15-00. In the past there was always two different files. Q: Does anyone have License for ISPI Admin Client 5.1.6.181? For people who want to use the web interface instead. Q: I just wanna ask about the difference between the ISTA\D or P , ISTA+ and ISPI_ISTA ?? because I have a BMW E60 535XI 2008 and I wanna choose the best option for my car to diagnose or program , and also can I use that program with a K-DCAN OBD II cable which is the same I use for coding or I need to use another one ? 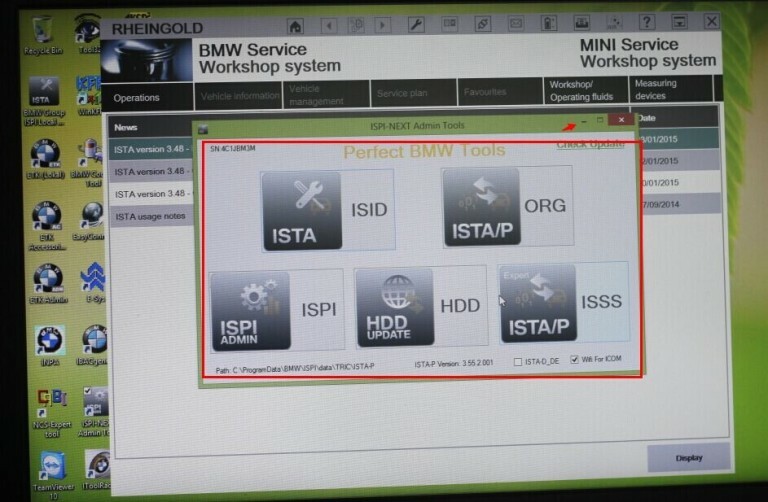 A: ISTA/D is for diagnostics of all BMW’s, Mini, and RR. It can only program Fxx/Ixx/Gxx-series BMW. For E-series, you can use K+DCAN USB cable with ISTA+ for diagnostics, but you need BMW ICOM A+B+C and ISTA-P or Winkfp for programming. A: Carly is a bluetooth device. K+DCAN cable will not work for two reasons; it cannot communicate over “most” interface (multimedia ECU’s) and would potentially take days to program with higher rate of likely failure. An BMW ICOM A2 emulator is less expensive than replacing an ECU. Q: Now can you please guide me on what and where to buy a good quality of ICOM as I read that ICOM A+B+C from Obd2tool.com is good but I really don’t know how much does it cost and from where to buy it since I saw some on AliExpress but I don’t trust Chinese quality. Q: I’m trying to update SDP but from all files only German language was updated. I’m doing that all the time but now I have problem and I can solve myself. A: It does not look like anything is updated. You must have xml’s and istapackage for it to work. 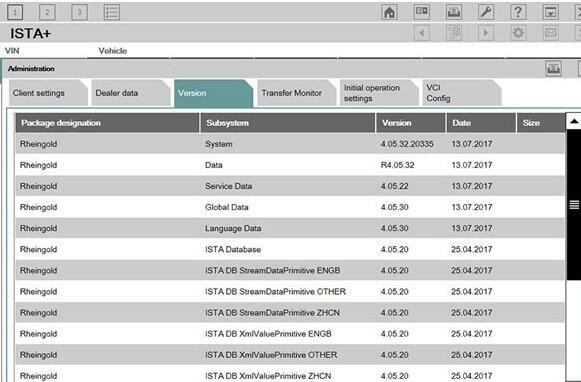 Q: I have now installed and changed old ISTA with new 4.07 but now ISTA says that data are incompatible? Current ISTA version should be the same as thread title after you apply Reg fix included with standalone. 6.Connect the ICOM device to the BMW. 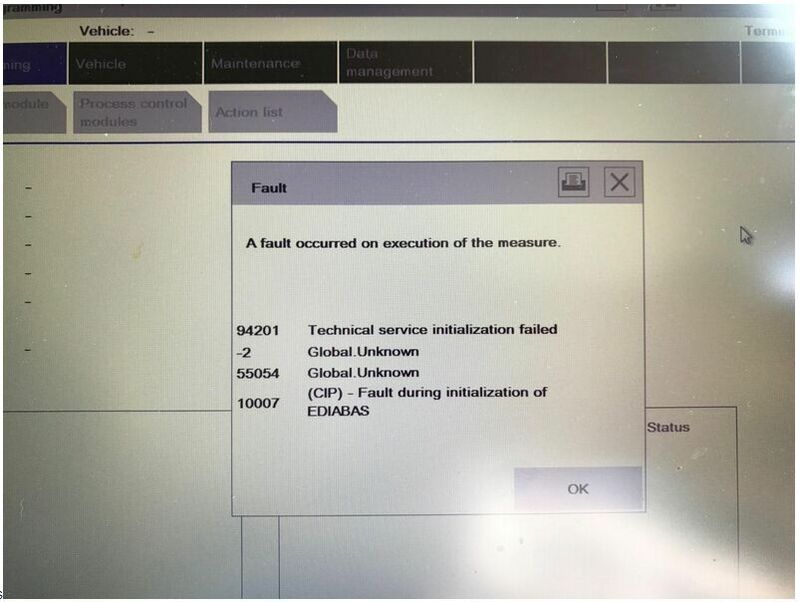 Thanks to Susan who are working at www.obd2tool.com,one user bought from her one ISTA-D 4.04.12 ISTA-P 3.60.2.001 and come across the above error, with her help, the problem is solved finally. ICOM A2 Wifi A2+B+C 2014.4V Engineers Version is a professional and best diagnostic and programming bmw diagnostic scanner. 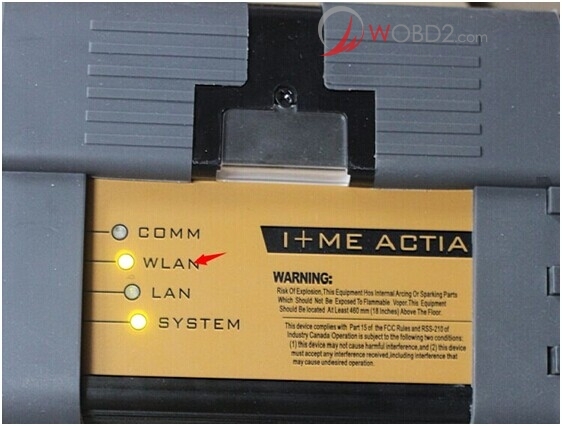 Recently, many fellows called me for Super BWM ICOM A2 USB WIFI setting problem. Here are some successful tips for sharing. 2. Turn off the build-in wifi on the computer or make the additional wifi not work; that is, your usb wifi of your equipment is the only wifi on your computer by Car Scanner. Don’t connect the wired Internet access to the Internet and equipment cable. 3. Press the button to make your computer start after you are sure that you have done all about Step 2. 4. Make sure that the network is turned off and cannot be connected to network cables. 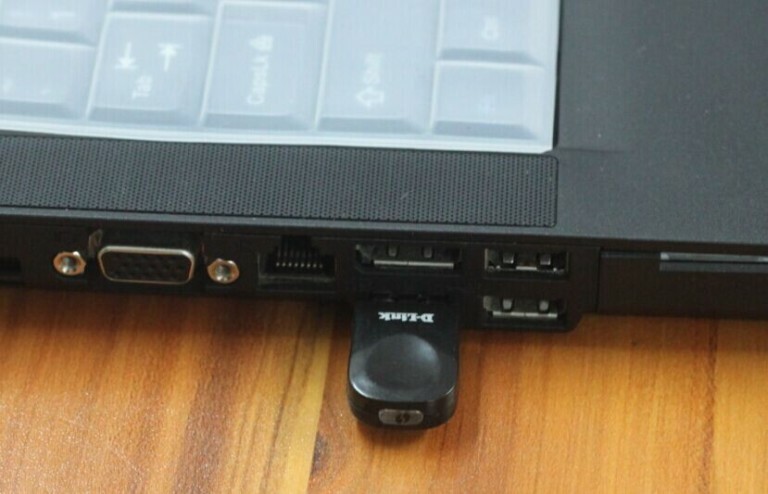 This DWA-131 is your usb-wifi. It cannot be turned off. It is normal to show the mark of a red cross. 5. The software starts and choose WIFI for ICOM. 6. 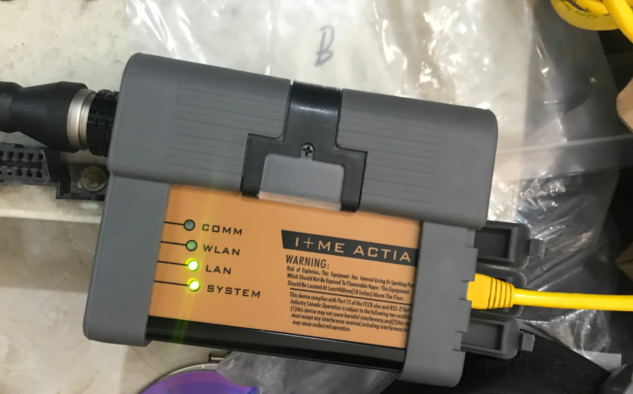 Connect BMW ICOM A2+B+C to your vehicle and you will see that the lights of wlan do not flash or flash slowly after waiting for 20-60s. It means that both usb wifi and icom A2 wifi are ok.
7. Now you can click diagnosis or programming software. 8. Please minimize the interface for it is not allowed to be closed. 9. The equipment can be recognized normally. 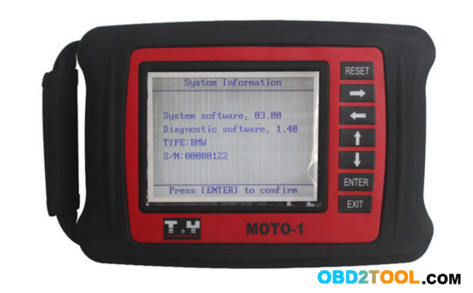 Which BMW diagnostic tool is best for BMW motorcycles/bikes? ICOM A2? ICOM D? MOTO-1? GS-911? MOTO 7000TW? 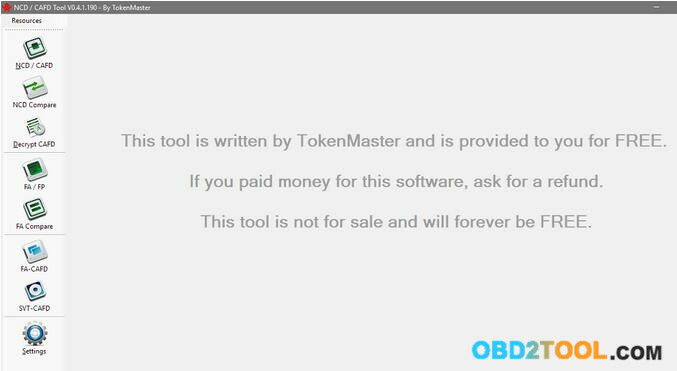 Here, Obd2tool.com engineers share the professional ideas here. 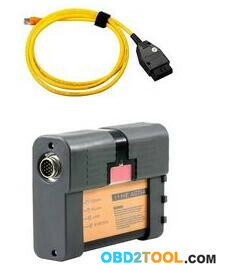 ICOM A2 is the best BMW diagnostic tool and ICOM D is the professional BMW motorcycle diagnose cables. 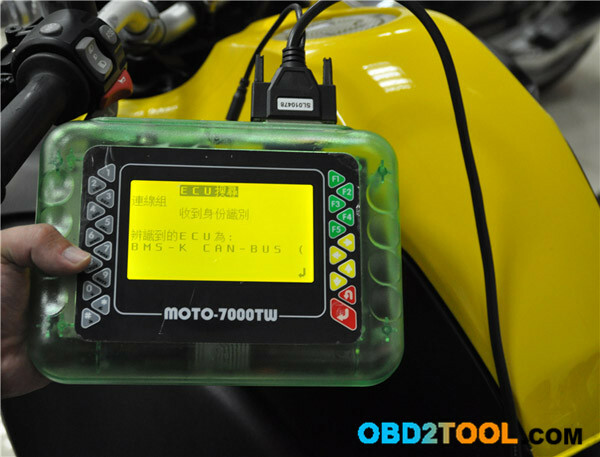 According to customer feedback, ICOM A2 + ICOM D is the most ideal tool for BMW motorcycle coding. If ICOM A2+ICOM D is too expensive for you, try K+DCAN cable with ICOM D. Some bmw owners managed to use this kit for their bike coding. Most use this to cycle the ABS pump to bleed. 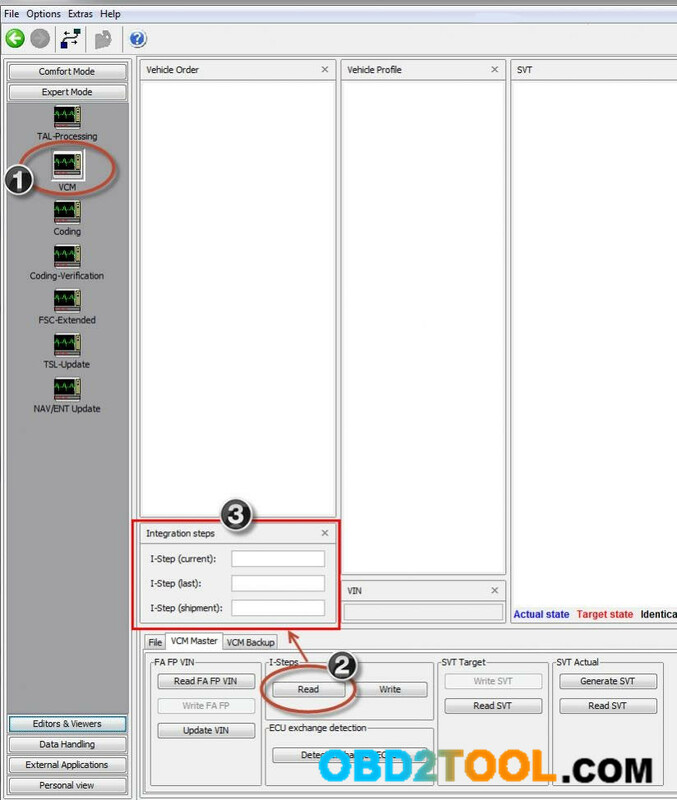 Here are tips/ intructions of coding auto start-and-stop for BMW F25 with ENET cable and E-sys interface by OBD2TOOL. – Best is to have psdz data that corresponds to the i-level of your car. – Technically, you can use any version of E-Sys with any version of PSdZData, so long as that version of E-Sys is Patched, and has a .EST Token with current Validity. 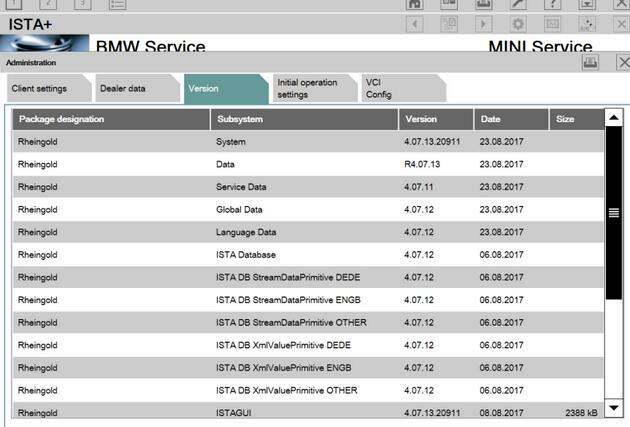 The issue is that BMW made changes to the PSdZData beginning with 48.2 for F20 / F30, and then in 48.3 for all other chassis, that required an updated Patch / Token, which rendered the E-Sys 3.22.5 version most everyone was using, aka “the free version”, needing a new Patch / Token, and continue to use the newest BMW ICOM Software. Add “OMSA” to FA (in Ho-wort folder), write FA to car (not forget about backup partner) and code CAS. I-Step current is what you have. In most events, just use the PSdZData 49.4, and you will be fine.